At PJB Design Consultants, transforming your ideas and dreams to drawn reality is our endeavour. We are here to get you one step closer to construction. 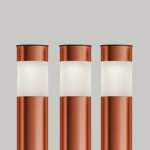 We strive for practical, functional and beautiful design. Our years of architectural experience allow us to shape and mold ideas, needs and wants into a space that is attractive and functional. We listen. We take pride in listening to our clients' needs and ensure these are reflected in the design. The relationship with our clients is very important, so we rely heavily on face-to-face interactions. Getting to know you helps us to create a design that is unique to your lifestyle. We enjoy design challenges. We've designed everything from sheds and barns to multi-million dollar homes, school additions, churches and office buildings. We help you visualize the final outcome. We offer a variety of design services that enable you to clearly envision your final outcome. Interior Designer for Carpet One specializing in flooring, paint, wallpaper, tile, floor plans, professional organizing, window coverings, personal shopping, patio designs, exterior design. 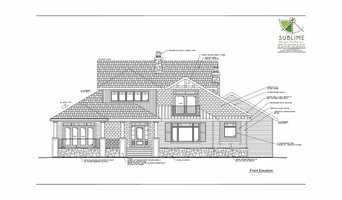 I have had the privilege of working on hundreds of one-of-a-kind, unique homes, executing accurate 3 dimensional design and construction drawings for planning, estimating, permits, and construction. I will combine my years of experience, passion and professionalism to design the home of your dreams. 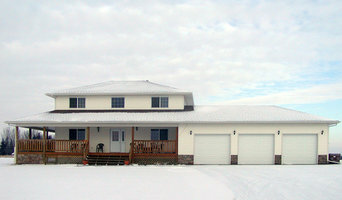 Building design company based in Stettler AB. We don't just draw, we 3D model your new or renovated home. 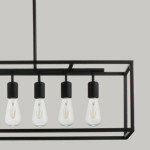 GestaltHaus is a contemporary design and manufacturing house based in Central Alberta. 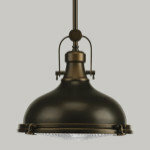 We are Canadian distributor for select European contemporary architectural products and lighting. 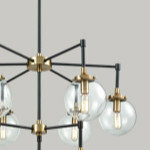 Our passion lies in custom design of light fixtures, furniture pieces, and cabinets combining contemporary LED technique with traditional craftsmanship working with glass, wood, metal and composite materials. Datum Design Studio is a residential design and drafting studio. We are located in the Central Alberta region and offer services throughout the area. 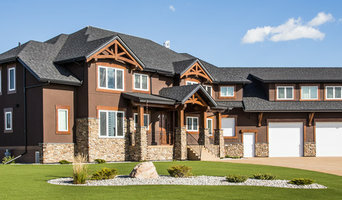 Cynthia Brode custom residential design offers professional experienced drafting and design services in central Alberta to individuals and home builders alike. Working closely with every client to design a home that reflects your lifestyle and tastes. Incorporating your vision into quality sets of construction blueprints. How do I find the best Lacombe architect for my home design project? It is best to hire a home architect who will be involved in all phases of the design process, from the initial concept to the completed construction. The architect is often the first person you will hire for your project. If necessary, they might also help you select and hire Alberta subcontractors, which can include the builders, engineers and landscaper. Interior architects are also involved in negotiating contracts for all involved participants. It is for these reasons that it is extremely important for you to have a good relationship with the Lacombe residential architect you hire. He or she can be the tie-breaking vote between you and the general contractor and can be your biggest advocate during the construction process. Different architecture firms in Lacombe, AB provide different services, so the scope of the work can span from pre-design environmental impact studies to selecting furniture and finishes, depending on what your specific needs are. It is very important to hire the right professional for the job. Remember that the most well-known or established designer might not provide the best architectural services for your needs. It all comes down to the individual project. Research and ask people whose work you like for recommendations. It's important to have somewhat of an idea of the style of house architecture that you prefer, as well as the amount you would like to spend. Residential architects in Lacombe, AB are natural problem solvers. They will assess the entire situation and help you to solve your problems too. Don't settle for a single company too early. Call and interview a few. Make sure that you feel like your personalities will mesh well and that you like their professional perspective. 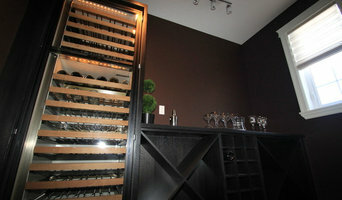 Find a home architect in Lacombe, AB on Houzz. Narrow your search in the Professionals section of the website to Lacombe architects. You may also look through photos of Alberta projects to find interior architects and building designers who have worked on a project similar to yours.